IESE Insight Paul Polman: "We need to serve multiple stakeholders"
The global economic context has become unstable and uncertain. Governments that used to be predictable have become unpredictable. Megatrends such as digital transformation, the environment and new consumer behaviors are making the business context tougher. What's the role of a board of directors in this new world? Sure, boards are responsible for fulfilling companies' fiduciary duties with shareholders, but they're also responsible for the long-term health of the company and its impact on other stakeholders. A company may maximize profits in the short term but, as Paul Polman tells IESE's Jordi Canals in this interview, if it doesn't care about its customers or invest in its people, its suppliers or its community, then those profits will be suboptimal in the long term. That's why board members need to keep developing new capabilities and keep learning about the burning issues that could put their companies at risk, so they're ready for action. Next to succession and talent, a company's long-term development depends on having a good strategy, so directors need to spend a lot of time on it. Boards need to be able to step back, look at the big picture and constructively challenge management. Their discussions need to include how the strategy relates to other stakeholders, besides shareholders. While it's important to deliver good financial results, strategy discussions at the board level need to have this wider perspective: we serve multiple stakeholders, and if we do that well, shareholders will equally benefit long-term. After the global financial crisis, you stopped giving quarterly earnings reports. Why? It was a way to make investors -- and our own people -- think and act longer term. Boards shouldn't be making decisions based only on the next three months. That kind of thinking contributed to the worst crisis in decades. Shareholders are important but, unfortunately, we see more passive investing, with many asset owners outsourcing their responsibilities to asset managers who are still mainly rewarded for short-term performance. Short-term investors or speculators don't fit the strategy of most companies. If an investor buys a share today and sells it a week later, he or she may have made a profit, but what value has that transaction added to a company? Of course we need to deliver in the short to medium term, but investors need to understand that sustainable companies invest for the long term. Many do, and part of our job is to educate investors that not only financial performance but caring about customers, developing new products and driving sustainability are also part of a solid business model. It takes time because there's still a generation of analysts and asset managers who are incentivized by short-term performance and don't care too much about other dimensions. We also need to provide more transparency on materiality and comparability, and get more CEOs to explain their value creation model properly. It's hard work. How should a board relate to shareholders? First, ensure that the right shareholders are attracted in accordance with the strategy. Too many CEOs and boards try to cater to all shareholders and focus on quarterly delivery vs. consensus vs. longer term plans. Second, ensure there is frequent two-way communication and that outside-in concerns are well understood. Does it help to have a set of guiding values? It does. We need to move from "we have a license to operate" to "we have a license to lead for the long term." Companies and business leaders cannot be bystanders but must be part of the solution to today's social problems, speaking up where needed. It starts by having a clear purpose. We talk about this a lot, which sends a clear signal that the board and senior management are committed to it. That purpose and associated values need to inform everything we do. So, when we discuss strategy, we try to see the social or environmental impact of a decision, beyond the financial result. We invite key stakeholders to board meetings or seek other ways to make sure their voices are heard. We need to aggregate the many efforts to make an impact and expand the narrow definition of accounting beyond just financial to include social and environmental. One example is our task force on climate-related risks. Someone who understands the complexities of today's world and can ask the right questions, who is committed and able to stay relevant. We need more board members who are concerned less about themselves and more about the long-term wellbeing of the company and its people. Boards need directors with complementary skills, so that each brings a different understanding of the issues and actions to take. The composition of a board should be judged not just in terms of relationships and networks but by the specific expertise that each person brings -- specific enough to add new thinking, but broad enough so that when they participate in discussions about the company and its challenges, they can frame it in the wider context of what the company does. Increasingly, we need expertise around climate risk. We started an effort on climate-competent boards for that reason. How important is diversity on a board? Diversity is essential for having different perspectives and voices, whether on technology, consumer behavior or a geography such as China. Diversity of thought, as well as of gender, is a must. It adds to the quality of board discussions, resulting in richer, deeper insights. Most of all, it sends a strong message of respect and dignity for all. There is ample evidence suggesting that companies with more diverse boards perform better over time -- hardly surprising. What are some key observations from working with different boards in different countries? How the board works with the CEO has a tremendous impact on the company's development. A fine balance has to be struck between challenging each other and working in partnership. The CEO has to execute the strategy, delivering financial and social results in line with the agreed corporate values. The Chair has a very important role, which is to ensure that good governance systems are in place and that the CEO works well with the board and the rest of the organization. Because the Chair and the CEO have different roles, I believe they need to be separate jobs, held by different people. Ideally the Chair should be independent, especially when it comes to planning for CEO succession -- probably the most important decision a board has to make. Board members should also spend time getting to know senior managers in the company, so they have an idea of the internal talent that's available. Developing a pipeline of candidates for future leadership is vital. 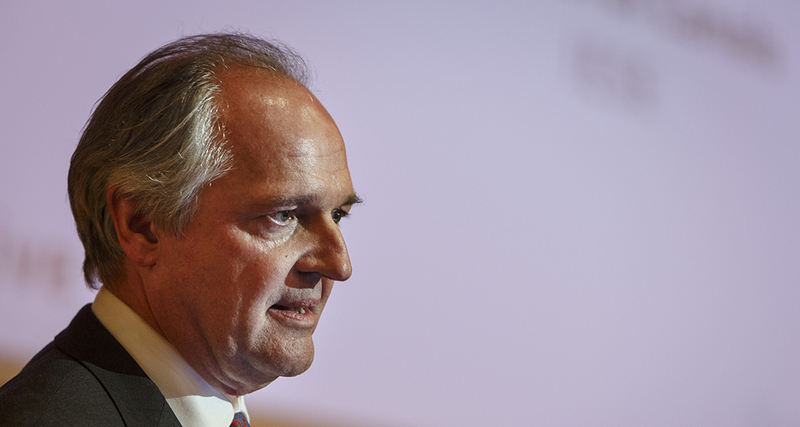 Paul Polman discusses "What does it mean to lead a multi-stakeholder company?" during a special session of the International Advisory Board held at IESE Barcelona on April 26, 2019. A version of this article is published in IESE Business School Insight #152.